RPG title set in the world of Harry Potter. The players create their Hogwart’s students and follow their lives throughout several years. These include participating in lessons of defense against dark art or studying creation of mixtures. 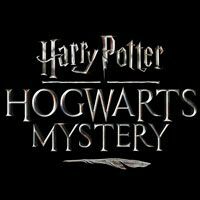 Harry Potter: Hogwarts Mystery is an RPG game set in a universe created by J.K. Rowling for bestselling Harry Potter book series. It has been developed by Jam City studio and released for AND and iOS mobile platform by Portkey Games – a subdivision of Warner Bros. Entertainment in charge of games about the young wizard. Before they start their adventure, players must create a new Hogwart’s student, whose life they will follow through a few years. This includes participating in activities like lessons of defense against dark art and studying mixtures. Magical tips and tricks which will help you during your adventure in the famous School of Witchcraft and Wizardry, Hogwarts. Our guide describes all essential gameplay mechanics like leveling, friendships, character creation, spells or combat.